Total Bakery Engineers Specialise in Inline and Rotary machinery required in the production of Pies, Tarts, Pastries, Sausage Rolls and Pizzaz. 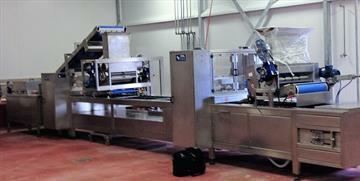 Established in 1986, we design and manufacture all types of production machinery for the bakery industry. We specialise in In-Line and Rotary Machinery required in the production of Pies, Tarts, Pastries, Sausage Rolls and Pizzas.